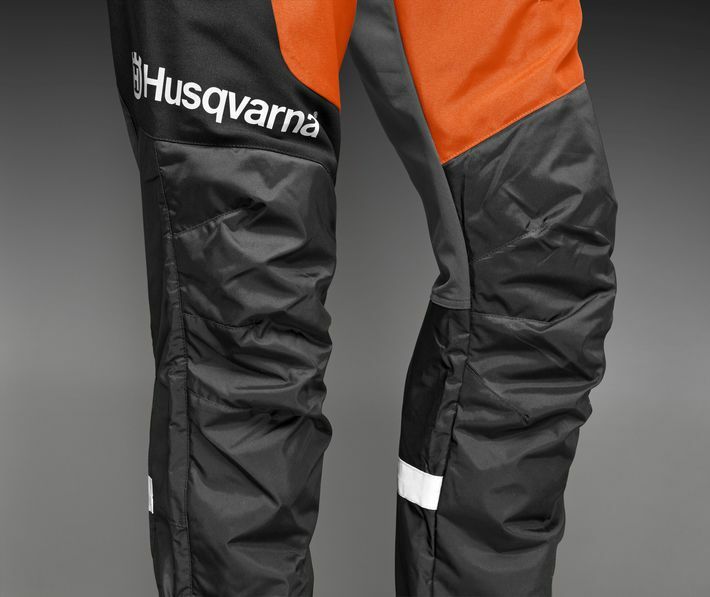 Trousers of extra-treated fabric for professionals. 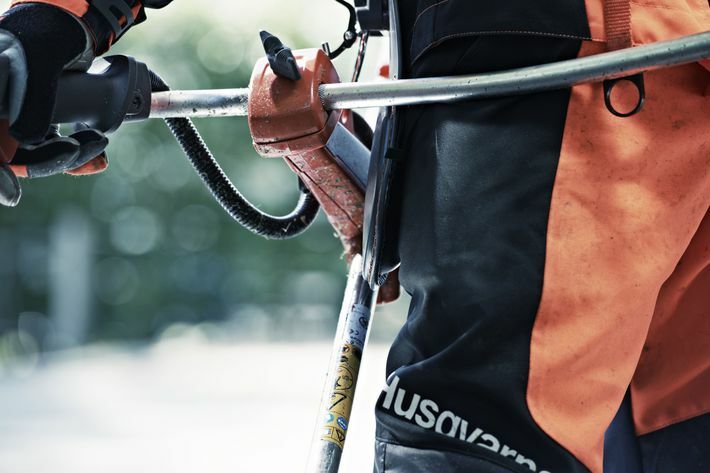 The lower part of the legs are water resistant and have extra reinforcement at the front, as well as pre-bent knees and ventilation zippers at the back of the legs that provide excellent protection and allow you to work comfortably. 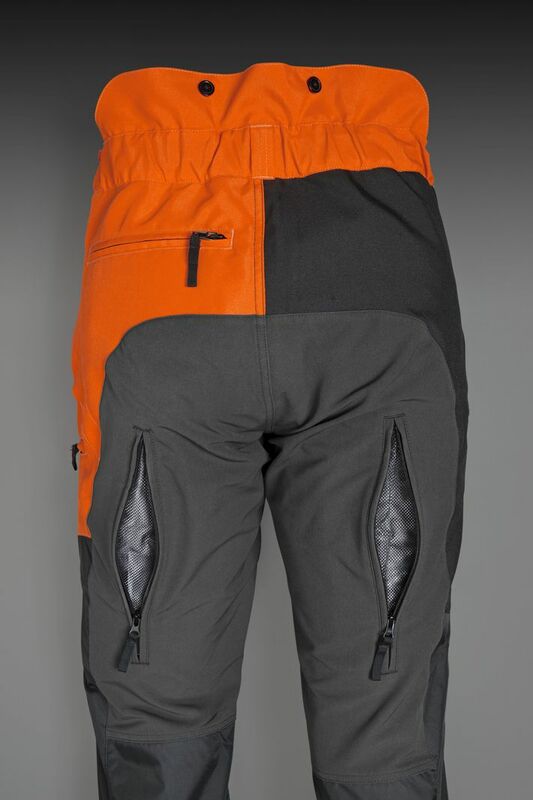 A pocket for extra padded protection on the right hip absorbs impacts from the cutter or trimmer. Reflective strips and logos make you visible in darker conditions.